We offer highly competitive rates for drop-in facilities, training rooms, one-to-one therapeutic and advice rooms, and office space for charity and community groups. All rooms have disabled access and free wifi, with free flipcharts and presentation equipment in our training rooms. We offer a discounted rate for NGOs and community groups. Rates start at just £5 an hour. 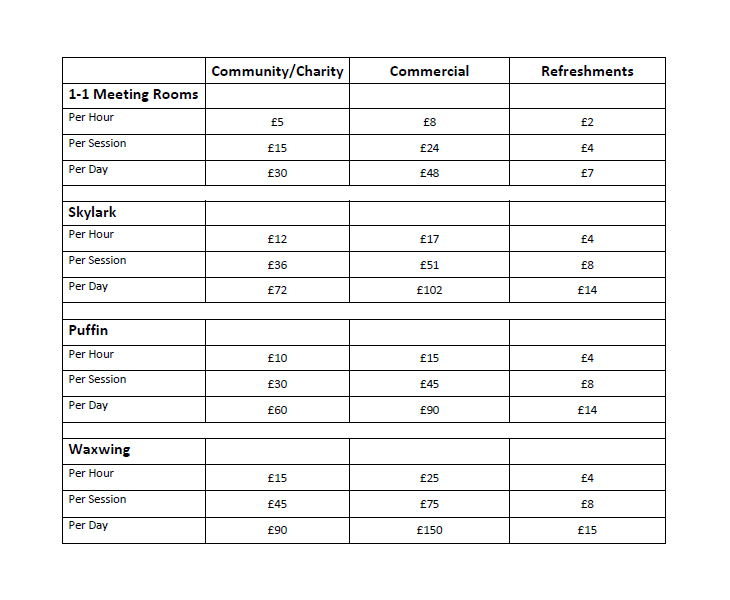 Refreshments include tea, coffee, sugar and milk, with hot water boilers available in larger rooms if requested. Our space is a 15-minute walk or bus ride from Leeds Station, and are close to Leeds University and Leeds General Infirmary. Parking is available at the Burley Road Car Park, five minutes’ walk from the venue. To find out more about hiring our venues or to book, contact us at the email address below.